In the Summer of 2010, Felix Cavaliere released an album in collaboration with Steve Cropper – their second together – called Midnight Flyer. In connection with that release, I interviewed both musicians for an in-depth feature. 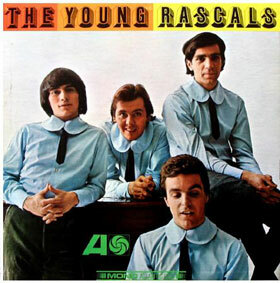 But Felix was kind enough to grant me a “part two” to my interview with him: we discussed the group for which he is most well-known, The (Young) Rascals. Formidable hit makers through the second half of the sixties, The Rascals made an indelible mark on the pop music landscape of that era and beyond, bridging styles (soul, r&b, rock) in a way few other acts could manage. Bill Kopp: One of the things that really impresses me is the jump that The Rascals made between the first and second albums. 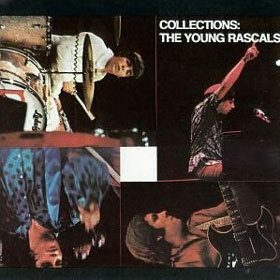 On the first album [The Young Rascals, 1966], you were pretty much a cover band. A great one, yes…but still a cover band, with the odd original thrown in. Yet, less than a year later you came roaring back with Collections , half – the better half, I’d say – of which were original compositions. And not only that, it’s not as if there was just one of you writing and singing leads; three of you were writing. And…only six more months later, you released Groovin’ , featuring all originals save one. So tell me: did you have a backlog of originals from the beginning, and you were somehow kept from using them on the first LP, or did you guys just sort of flower creatively overnight, as it were? Felix Cavaliere: I think it’s more the second than the first. You see, the scene in the New York / New Jersey / Long Island area – where we were really based – was covers-only. When you played as a band, [the audience] wasn’t interested in the slightest in any kind of creative thing you might have. You either played music that got people on the dance floor, or you didn’t play. Simple as that. And if you put something else in – for example, “Good Lovin’” – it was an arrangement of something people had already heard on the radio. So we knew we could get away with that. But people didn’t want to know anything about individuality or anything like that. So that’s what we did. And we had a very short nightclub career, because it was relatively fast that we got our record deal. But through it all, that’s the group that they signed: a cover band. Now, the words luck and good fortune come into my life very much, you know. One of the main things that I really wanted was to produce the group. I didn’t want outside influences; I had an idea, I had a sound, I chose the people, and I really had a lot of nerve thinking that I could do it! But I didn’t want anyone coming in and telling us what to do, like Phil Spector would do [with other acts], for example. I adored what he did, but I knew if we worked with him, we’d be a Phil Spector band, not a Rascals band. So I was really able to assert my determination to our producer, internally. And that’s where the good luck came in. What Atlantic did was not only to give us free reign and control over our product – which we still have today – but they put into the room two people who are legendary. And they were called “supervisors.” And those two people were Tom Dowd (in the beginning) and Arif Mardin. So, a luckier break could not have happened to anybody. Once I was able to come into the musical aura of Arif Mardin, I could do anything. Anything. There was no place musically you could go where that mas was not totally capable of arranging, co-producing…it was the same thing that The Beatles had with George Martin. BK: And then a little bit later, you did turn back and done one cover, the wonderful rendition of “A Place in the Sun,” you created a recording that, for me, rivals Stevie Wonder‘s version. 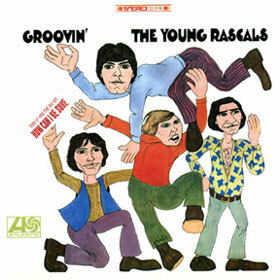 BK: I was three years old when Groovin’ came out [Cavaliere chuckles], so when I was young, I made the assumption – as did many people of my age, I suspect – that The Rascals were an African American soul group. And you enjoyed one of the era’s relatively few crossover successes with “People Got to Be Free.” Was it your intention – or goal, or even hope or wish – to sort of break through across genres as you did? Or did it just happen? But there is a total joy and love for that type of music, for r&b and soul. That’s pretty much the whole thing for us. That’s what I listened to, that’s what I grew up on, that’s what I emulate and admire. So it was a very natural thing for me. BK: I don’t think that sort of crossover experience could happen for a band today, with market segmentation being what it is. FC: Right. That all happened after Woodstock, when music became a business. Before that, I think there was a lot more art interest than business interest. And then after Woodstock, the music scene changed around to become more of a corporate entity. And today it’s absurd: it’s gone completely that way. FC: It’s a shame when – with all due respect – a Grammy Award winner can’t sing. That’s just a total slap in all of our faces. You just get enough money, and an attractive enough girl, and turn her into a number one artist. That just shows you what’s going on. BK: There’s always been some sort of manufactured teen idol sort of thing around, but now it seems the rule rather than the exception. In the commercial marketplace, at least. FC: Now it all has to do with marketing and money. If you don’t have those behind you, you’re not going to make it.